Are you tired and frustrated with your weight-loss progress? Take a break from the scale and focus on the measurement that counts - your clothes. Elite Trainer, Tara Penawell, has put together 8 weeks of fat loss driven workouts. You'll commit to doing 3 weight workouts a week, a cardio interval training day, and a HIIT workout. Tara will lead you through one weight workout and one HIIT workout a week to keep you on track. In addition, you will receive habit based nutrition guidance, pointed weekly emails to keep you motivated, and access to a private Facebook group where you can share recipes, tips, and general encouragement. Have some fun and give yourself a challenge! 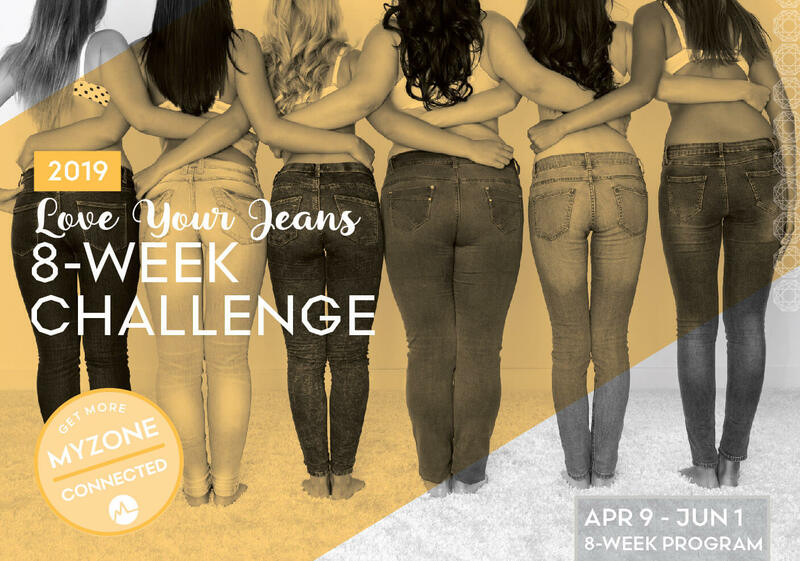 Bring a pair of jeans that is one size too small - or that perfect dress you want to fit into to measure your progress during the challenge. You'll be provided with all the guidance and support you need to achieve your goals. Limited to just 6! Sign up in advance. For added motivation, purchase your Myzone wearable technology and save 30%! VIP members save an extra 10%. Meeting times: Tuesdays 7-8pm and Saturdays 8:30-9am. Pre- and post-photos will be taken to really see all your hard work pay off. Pre-series photo session with those goal jeans is on Saturday, April 13 at 8am. Contact Tara at tpenawell@yahoo.com for details! Tara has an extensive background in the health and fitness industry, with over sixteen years working as a personal trainer. She earned her Masters Degree in Kinesiology from UT in 2004, and since then has acquired certifications from various organizations include ACE (Certified Health Coach), Precision Nutrition, Functional Movement Systems, and Primal7.